In the latest series of our 'BARDIC MEETS . . .' we chat to company newcomer Haydn Cullen who shares his role of 'Dean' with Jordan Donnelly. 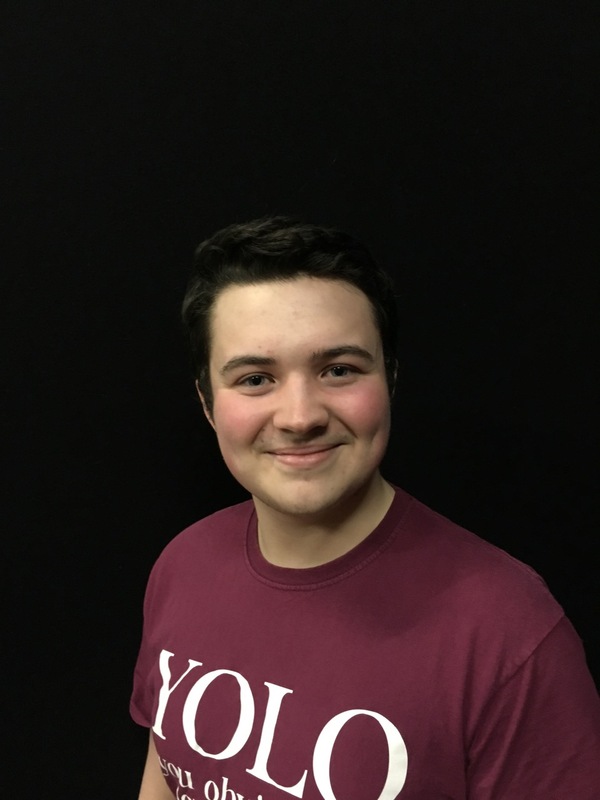 Haydn plays opposite Rachel McKenna's 'Lorraine' in All Shook Up as the two teenagers go on their own romantic journey throughout the show. Hi Haydn, Welcome to Bardic Theatre and thanks for chatting with BardicTheatre.com. We're just over twenty-four hours from curtain up at the premiere performance tomorrow night, you must be really excited. 1. Favourite Elvis recording from All Shook Up and why? My favourite All Shook Up song is "I Don't Want To". It's a solo from Sean O'Neill who plays Chad with simple acoustic guitar accompaniment. It has a simple yet beautiful melody that I can't help silently singing along too. It's also a very crucial point in the show that shows Chad changing a little. 2. Your character 'Dean' is in love with Lorraine. What is it he finds attractive in her? Lorraine is a beautiful and easy going girl who is looking out for that special someone. I think Dean is attracted to her because of her independance and free spirit despite all those around them who disagree with their relationship. 3. Mayor Matilda is your Mother, however you two don't have the easiest of relationships, why is that? Mother Mayor Matilda, who is brilliantly played by Karen Kirby, has sent my character Dean to the Stonewall Jackson Military Academy every year from when he was a young boy. She does this to protect Dean from anything she sees sinful, indecent or too rock and roll. This causes the tension between them both because Dean has been obeying her until now but when he meets Lorraine his love for her is making him question his mothers intentions. 4. This is your first Bardic show. How does it feel to be the newcomer amongst the company? It's quite exciting to be working in an new environment, especially on the Bardic Theatre stage. It has a great history and legacy to it's name. Working with Bardic Theatre company has been very easy as I've worked with many of the younger company members before either in CRAIC Theatre or in one off productions. Already having that connection with the members of the cast made it very easy for me to introduce myself and show them my abilities. 5. What previous shows have you been in? My first stage experiences began with CRAIC Theatre. With them I was in Sound of the Movies, Sound of the Musicals and Witiches of Oz. I have also been in many school productions with my Performing Arts course at the Intergraded College, Dungannon such as West Side Story, Bugsy Malone, Joseph and The Amazin Technicolor Dreamcoat, Grease and Me and My Girl. 6. How would you describe your portrayal of Dean? The way I play Dean is very much like a butterfly in a cocoon. He starts off as very shy and obedient, then during the show he stars to gain some of Lorraine's free spirit thus creating a rebellious side to him. All Dean simply wants is to be with Lorraine for no matter what the cost. It has been an absolute joy to play him. Thanks for chatting with BardicTheatre.com Haydn and and we hope you enjoy tomorrow night's premiere as much as we've enjoyed talking with you. ALL SHOOK UP runs to Saturday 18 February and is now booking from Bardic Box Office at Stewart's Music Shop, Dungannon • Tel: 028 87 761 859 and online here.